Insulation for Your Orlando Home - JA Edwards of America, Inc.
No doubt about it, this winter has been much cooler than usual. With temperatures considerably colder all across the southeast, home-owners around Orlando might be thinking of ways to keep the cold out next winter. While residents of the Sunshine State might typically consider insulating their roofs during the hot summer months, insulation against the cold has its benefits, too. Consider these reasons for improving your home’s insulation. Temperature control is the most obvious and immediate benefit to insulation. Every home owner in Orlando wants cooler indoor temperatures in the summer and warmer temperatures in the winter. Comfort is key here, and increased comfort leads to a better quality of life. Installing insulation offers a huge Return on Investment. In the short term you’ll see the ROI show up on your utility bills. In the long run, you’ll be able to sell your home for more cash. Adding or improving your home’s insulation offers quality of life benefits for everyone in the Orlando area. If your home needs less power, the plants can produce less. Lower power demands means lower pollutants. Less pollution means that everyone can get out and enjoy Florida while breathing a little easier. Temperature benefits are only the tip of the iceberg for insulation. While it can keep the hot and cold at bay, it also offers sound control. In addition to more comfortable temperatures, it’ll be quieter, too. Lastly, improved insulation acts as another barrier against allergens, pollutants, and, most notably, moisture. Think of insulation as a giant house-sized air filter, absorbing many of the irritants floating around. 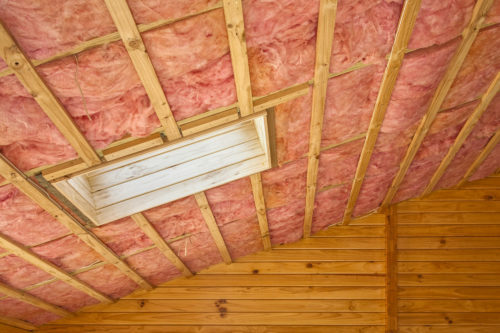 Perhaps most important to us here at JA Edwards of America is the protection that insulation gives to your home’s roof. Temperature changes outside your home can lead to condensation inside your home, especially in the areas closest to the roof. That moisture build up can be quite detrimental your home’s structure. By maintaining consistent temperatures, insulation can help keep the humid Orlando air from ruining your roof. When you’re installing new insulation, you might notice the interior effects of roof damage caused by a weather-related event. If you do, contact us at JA Edwards of America. We can inspect your home’s roof and take the steps necessary to insure that you continue to enjoy your Orlando home for many years to come.